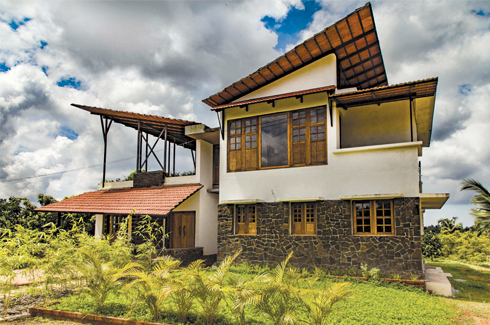 The Thanveer Azeez Residence in Kerala is a 2,878 sq ft home designed by architect Vivek PP of De Earth. Created with the intent of providing shelter amidst a natural ambience, this residence is a celebration of nature and bears a cosy and environment-friendly disposition. The terrace space overlooking the river is a standout feature of the house with a flying roof made of steel and tile. 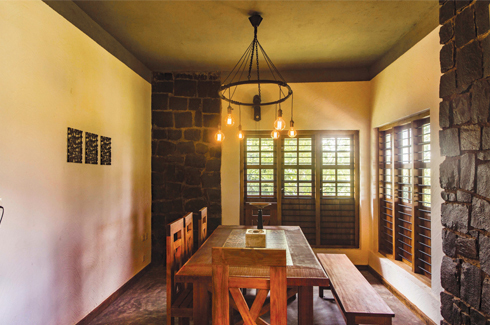 Moving away from being a house which is embellished with polished interiors, this space is designed on rustic lines. Here pastoral finishes giving it an earthy feel and superficial decoration is kept to minimum with every material displaying its own innate character. 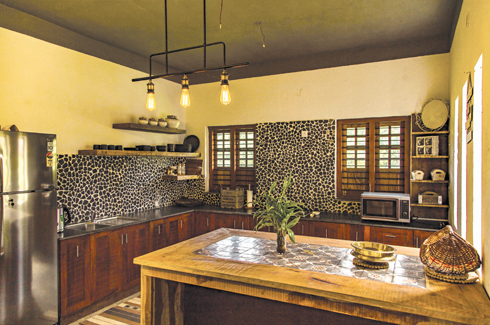 The wall finishes featuring plaster and putty modulation complement the textured cement flooring executed with the help of local labourers. 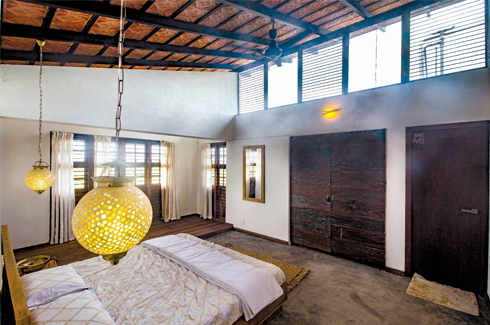 The use of steel, tiles, cement finishes and stone make the project unique, letting it connect to nature and Mother Earth so intimately that it exudes a feeling of inclusiveness.